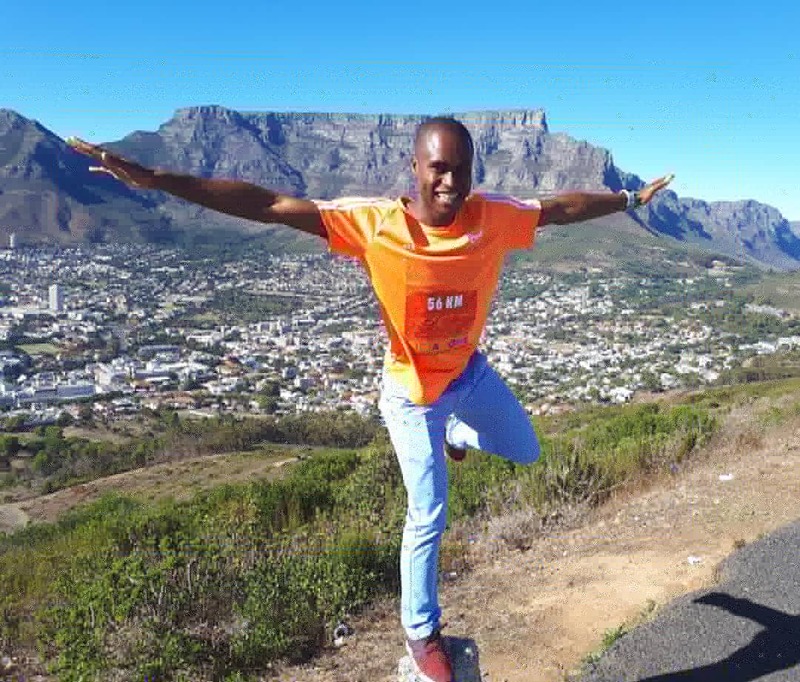 I am Awonke Tini, a young man who is absolutely crazy about running and it has spiced up my life and gives it more meaning. I am a Chemist by profession and currently working for a metals coatings company. It is quite a juggle and challenge, as most of the training is either done very early in the morning and late in the afternoon. So from there on wards I am often on my feet doing lab work or typing up lab reports. I have also noticed that the running craze is not so easy to understand for some of my peers as I have to sacrifice the late nights of socializing so I can be ready for the training session for the day. I have had days where I go for a long run in the morning and after getting to work and being on my feet again, work feels like another long run. I have always been a sports person, from my schooling days right through university. 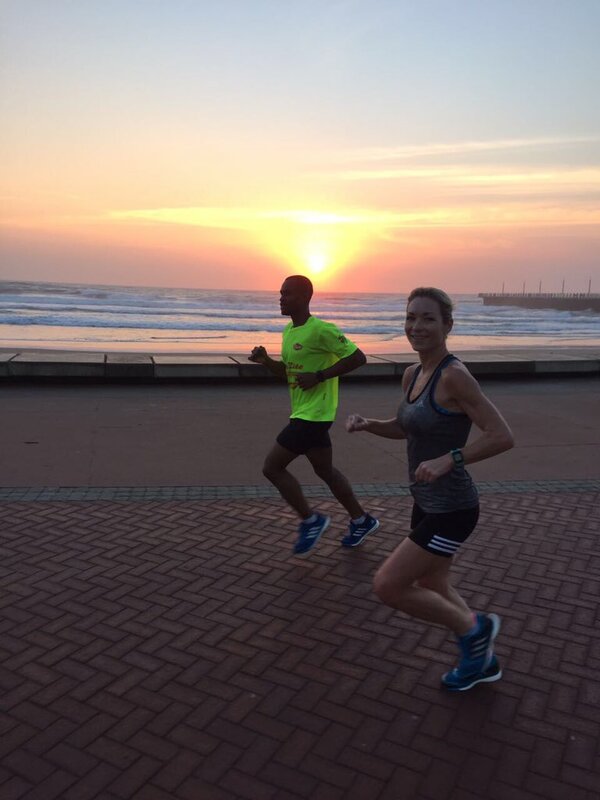 Running for me began in December 2015, back then a 5 km run was a massive achievement. The reason for me starting it was purely to kill time as I found that I had too much time on my hands between the transition from university and the working world. It was easy at this stage of my life to build bad habits and running allowed me to escape and it became my go tool whenever I wanted to sweat away a bad day at work or some kind of stress in my life. 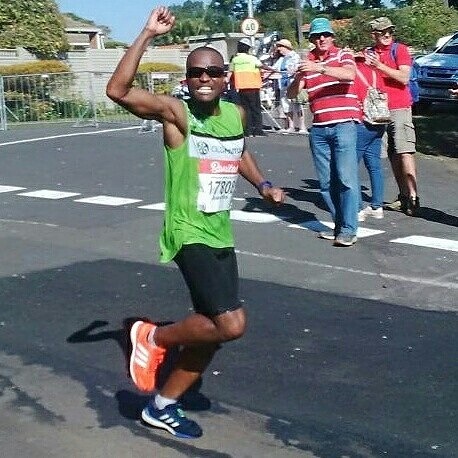 Officially ran my first race in October 2016, this was after I had vowed to myself that I would take part in the Comrades marathon in 2017. A whole lot of fellow runners, especially those who have been doing this for longer than me have been so much encouragement. They always see the best in me and I am also inspired by how far they have come. To mention a few people that I look up too that are on my Instagram, Jenna Challenor (@jennachallie1) is very inspirational, from her posts about running and her great work ethic, watching her has been so much motivation for me to go out there. Don Masinga (@donkmasinga) is someone I view as a mentor, ever since I met him in October 2016 he has encouraged me so much and made me believe in myself and exercise bravery on the road. 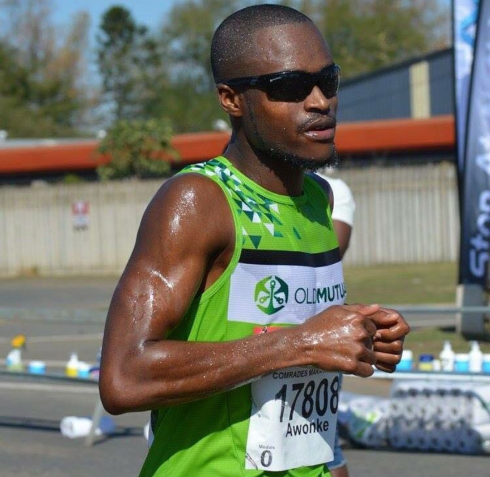 Wandisile Nongodlwana (@wandisile_n) he is a runner that has achieved so much already, very humble and leads by example and I learn so much from him and how running makes him feel so alive. It is a celebration of life and the understanding that running is a wonderful gift and not everyone can do it for health reasons. It is something that can really compromise health. Exercise improves health in many ways, so I often encourage my friends and family to take part because I know that their good health is compromised when exercise lacks. Comrades 2017 without a doubt! Being a novice and managing to get the silver medal. This happened 8 months after my first ever marathon, so it almost felt unbelievable. 12th of February 2018. 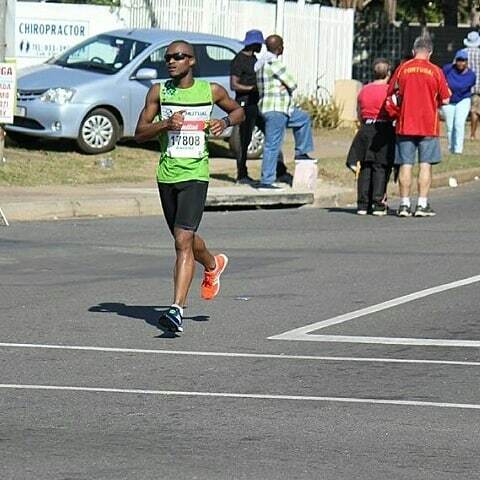 I got dizzy after 30 km into the race, this was during the Hillcrest marathon, I further tried to push on but at 36 km the dizziness got worse and could feel that I was losing consciousness. I push through pain by telling myself I can still go on, especially during a tough segment of the race. During my first Comrades I ran up Polly Shorts without walking and during Two Oceans this year I did the same to both Chapman's peak and Constantia nek, I have noticed that conquering these feared hills gives me the belief that I can finish any race no matter the pain. So I enjoy slaying big hills and I forget the pain during that moment. Whatever the reason for wanting to start running, give it a try, I confess that through running I am always surprised at the strength of a human, running gives you the confidence and belief that you can conquer any challenge in life.